Jose Mourinho’s agent Jorge Mendes expects Manchester United to sack his client this season, and quite possibly before Christmas, according to reports in Spain. A stunning report from Diario Gol says Mendes thinks it will be difficult for Mourinho to last until Christmas, and also claims that the Portuguese has opened the door to a return to old club Real Madrid by contacting Los Blancos president Florentino Perez. This follows a poor start to the season by United, who have lost two of their opening four Premier League games after a quiet summer in the transfer market and talk of unrest between the manager and the board. United do not look ready to close that huge gap on Manchester City from last season, and it may be that a change in manager is needed at Old Trafford. CaughtOffside has been told by sources close to Zinedine Zidane that he has contacted Paul Pogba and Anthony Martial saying he expects to be offered the job soon, so it may be that Mendes also knows something. United have chopped and changed managers since the retirement of the long-serving Sir Alex Ferguson in 2013, with David Moyes lasting less than one full season after replacing the legendary Scot, and Louis van Gaal lasting only two seasons after that. 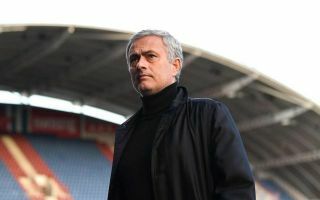 Mourinho is now in his third year in the job but has failed to truly take the team forward, so Mendes’ judgement may well prove correct if results don’t improve quickly.